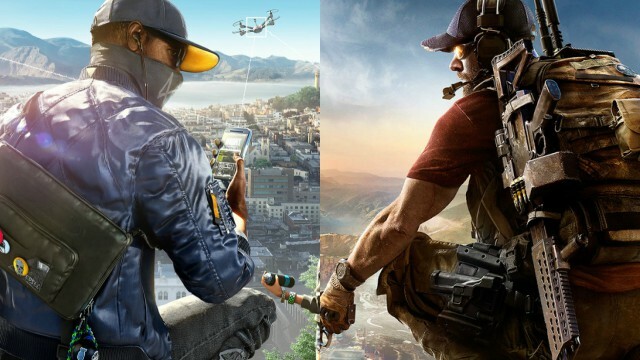 Ubisoft has released new trailers for their upcoming titles including Ghost Recon Wildlands and Watch Dogs 2. The new Watch Dogs 2 trailer shows off the game’s online co-operative mode as well as invasions and bounty hunts. Co-op and PvP multiplayer activities are seamlessly woven into the overall single-player experience of Watch Dogs 2 and can be happened upon during regular campaign play. Playing co-op missions with a friend or enjoying co-op activities with a random encounter is a simple invite away. Watch out, though: rival hackers can invade worlds (and vice-versa), and with the brand new Bounty Hunt feature, bounty seekers will be on the hunt for players creating high levels of chaos. Watch Dogs 2 is an open world action-adventure game where the San Francisco Bay Area is your living playground and hacking is your weapon to bend the city – and its people – to your will. Step into the shoes of Marcus Holloway, a brilliant hacker, and journey to pull off the Hack of the Century: a crippling shutdown of ctOS 2.0, an invasive technology used by the powerful to silently control everyday citizens. Watch Dogs 2 will be available for the PlayStation 4, Xbox One and PC on November 15, 2016. Ghost Recon Wildlands trailer shows off the customization options players have not only for their characters but also their weapons. The Wildlands are a living, reactive open-world environment where every individual choice you make has far reaching consequences. With the Faction Influence System, turn each dangerous situation into an advantage by seizing control of the cartel’s traffic patterns, patrols, and movements. Play every mission the way you want: utilize stealth to take the enemy down quietly, develop a plan and execute it to perfection to strategically eliminate all targets, or just get your hands on the most lethal weapons you can find and come out guns blazing. Journey through Ubisoft’s largest action-adventure open world and discover the diverse landscapes of the most beautiful (and dangerous) place on Earth, from the arid mountains to the lush jungles. Explore Bolivia on and off road, in the air, on land, and at sea with over 60 different vehicles. Ghost Recon Wildlands will be released on Xbox One, PlayStation 4, and PC on March 7, 2017.